Around 1.3 million Australians use aged care services each year. The vast majority of these rely on home-based care, while only around 170,000 are in residential care, such as nursing homes. As we live longer and Australia’s population ages, the demand for aged care services is growing. In fact, the number of Australians receiving aged care will almost triple by 2050 – to 3.5 million. Over the past few years, the spotlight has shone particularly brightly on the aged care sector following a dramatic increase in the number of complaints from consumers – ranging from the complexity of the current system, to substandard care and elder abuse. This has led to a number of government reviews, a parliamentary inquiry into residential aged care last year and, ultimately, sparked a Royal Commission. The one idea being championed from all parts of the aged care sector is that change is needed – now! The Royal Commission into Aged Care Quality and Safety was established in October 2018, and public hearings are currently underway across the country. The Commission was established in response to what Prime Minister Scott Morrison described as a “disturbing trend” of abuse and non-compliance across the sector. The current government has begun a number of reforms to create a national standard for the way the aged care sector is regulated and operated (see below for the Liberal aged care platform). In order to resolve issues of “chronic under-staffing and substandard care”, there are calls from the aged care industry to mandate staff to patient ratios, ensuring there is an adequate number of qualified nurses and trained care workers. Across the aged care sector, there are cries for more funding to ensure adequate numbers of staff, proper training, adequate wages, more aged care placements and improved accessibility and affordability of care. In terms of infrastructure alone, $54.0 billion needs to be invested into residential aged care over the next decade, according to government estimates. So far, the Morrison government has pledged one-tenth of this total – vowing to increase annual funding for aged care by $5 billion over the next four years. Part of this funding – $907 million a year – is allocated to 13,500 new residential aged care places across Australia, and $60 million will go to constructing and extending aged care homes. In the 2019 federal budget, announced in April, the government also committed to funding another 10,000 home care packages. However, COTA (formerly known as the Council on the Ageing) says it has seen little action since the government promised the $5 billion investment. The most compelling reason for improved regulation across the aged care sector relates to the instances of abuse and neglect reported to the Royal Commission. So far, the Commission has heard that there were 3,773 reported assaults in nursing homes across Australia in 2017/18. There has also been a dramatic increase in the number of serious risk incidents in aged care facilities over the past few years and growing reports about the overuse of medication to sedate residents. A key issue is the need for improved accessibility and affordability to aged care services, particularly for minority groups, including Aboriginal and Torres Strait Islanders, those from diverse cultural and linguistic backgrounds, women, those in regional and remote areas and those who are homeless. The Royal Flying Doctor Service has spoken out at the Royal Commission about the urgent need for access to aged care services in regional and remote Australia, reporting a 50 percent increase in dementia and Alzheimer’s in people living in remote and regional Australia. · Home care services: Most aged care users actually use home care services rather than residential care services. So, in all of the above points, there are calls across the industry the ensure reforms are applied as rigorously to home care as to residential care. · Dementia and palliative care: More than half of residents living in residential aged care facilities have a dementia diagnosis and, therefore, also have much higher care needs. As the number of Australians with dementia increases (to 1.1 million in the next 40 years), so too does the need for aged care services to better meet the needs of those with dementia and other chronic illnesses. 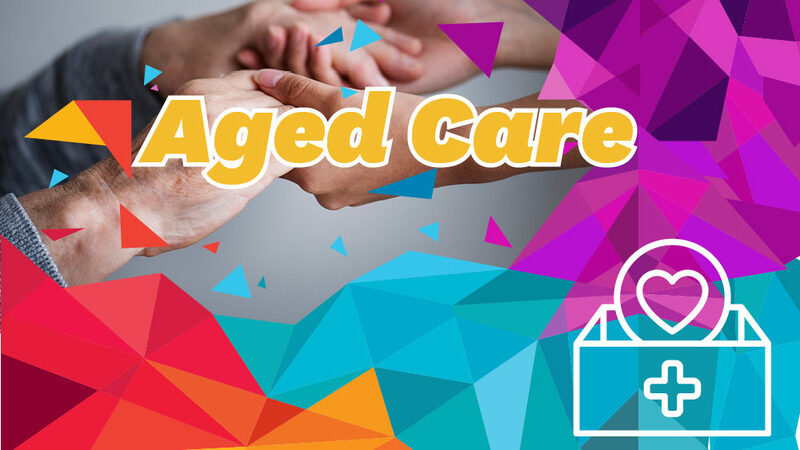 · Future aged care workforce: The aged care workforce needs to triple by 2050, requiring staff numbers to grow from 366,000 to almost one million. There is a pressing need to attract more workers to this sector. Staffing: Supporting aged care workers is a “top priority” – evidenced by funding for the industry-led Aged Care Workforce Strategy Taskforce in September 2018. Formed a new Aged Services Industry Reference Committee in October 2018 – including representation from community groups, unions and aged care providers – to tackle skills and workforce issues identified by the Aged Care Workforce Strategy Taskforce. LNP promises the committee will “help drive major improvements in training and skills and rapidly grow the sector’s professional workforce”. Regarding action on staffing, the LNP points to 12 aged care services across Australia that had their accreditation revoked in 2017-18, including for inadequate provision of staff. Committed to further increases in aged care funding over the next four years in the 2018-19 Budget, including a $967 million commitment to residential care for 13,500 additional places and $60 million in capital funding. In the 2019 federal budget, allocated $282.4 million over the next five years for an additional 10,000 home care packages, which would bring the total number of packages to 40,000. Regulation: The Morrison Government established the Aged Care Quality and Safety Commission on 1 January 2019 – a key recommendation of the Carnell Paterson Review, commissioned by Aged Care Minister Ken Wyatt on 1 May 2017, following the Oakden nursing home failures. Also promises “a 30 per cent increase to the viability supplement for eligible residential aged care providers in rural and remote areas”, and “the homeless supplement will also be increased by 30 per cent”. 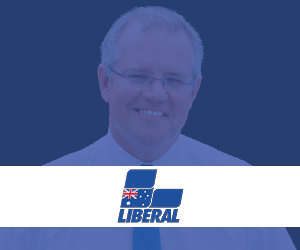 Vows to ensure good quality and safe working conditions and environments, and invest in a stable, secure, accredited and professional aged care workforce. Will seek to create a nationally consistent pre-employment screening process in consultation with key industry stakeholders. This regulation scheme will mandate minimum qualifications requirements. Supports appropriate aged care funding that “protects and maintains employment standards with proper regard to relevant industrial instruments”. Will ensure a base level of funding for aged care, alongside consumer-directed care. Regulation: Supports nationally consistent retirement village legislation with stronger consumer protections, as a priority. Will develop best practice standards and accreditation of supports in consultation with stakeholders “so quality controls are established, maintained and properly funded”. Will implement the Living Longer, Living Better reforms introduced by the Gillard Government in 2012, which it promises to deliver “stronger, more sustainable, more transparent and easier to access”. Labor will address the prevalence of elder abuse. Supports a transition period beyond 2020 to enable appropriate reforms resulting from the Royal Commission into Aged Care Quality and Safety to be properly considered and implemented, with block funding being maintained during transition. Will improve and enhance legal protections, consumer protections and financial security for older Australians. Will ensure regulation of the quality of service provision in consumer-directed care and safeguards to “prevent unconscionable conduct by providers and limit administrative and brokerage costs”. Accessibility: Labor will ensure older Australians accessing residential aged care services have “consistent access to a high minimum standard of quality care so to avoid a two-tier system of care”. 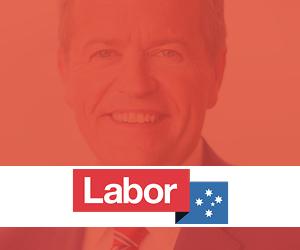 Labor promises to provide culturally appropriate aged care that “supports the unique needs and challenges faced by older Australians in regional, rural and remote areas, older Aboriginal and Torres Strait Islander peoples, those from LGBTIQ communities and with culturally and linguistically diverse (CALD) backgrounds”. Will provide Home Care Packages to help older Australians who choose to remain independent and in their own homes, close to their family and community, wherever possible. 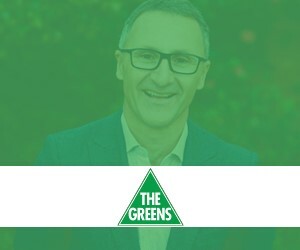 Overall, The Greens promise to ensure all people have safe, affordable aged care, and that people are able to choose whether to stay at home or to move to residential care. Staffing: Support aged care staffing ratios to ensure there are enough trained staff and that people get the care they need. Accessibility: Guarantee access to free or low-cost access aged care services, and to ensure there is an aged care workforce for the future. “There are obviously systemic problems in the aged care and disability sectors which the Royal Commissions are examining. As such we do not intend to pre-empt their potential findings. The important focus is to ensure those Royal Commissions are not obstructed in any way and can deliver value for taxpayer money by making the findings, without fear or favour, necessary to improve quality of care for clients in those sectors. 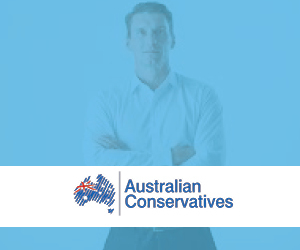 Eternity followed up to ask if Australian Conservatives could give policy details on the specific issues of staffing, funding, regulation and accessibility, however no response was received. Staffing: The issues raised in the Aged Care Workforce Strategy from 2018 need to addressed, including changing the positioning of the personal carer role. People working in personal care make up 70% of the aged care workforce. They do crucial work with a vulnerable population and their qualifications, conditions and pay do not match the complexity and importance of their work. The next government needs to work with the sector, training organisations and schools on creative ways to encourage younger people in to aged care. The workforce needs to triple by 2050 and currently aged care has a poor reputation in the community. This is in addition to valuing and encouraging the contribution of seniors to the aged care workforce. Funding: Significant work needs to be done to create a funding instrument for residential aged care in particular that is assets/wellbeing focussed and not deficit focussed. An assets based/wellbeing approach means that there would be incentives and rewards in the system for improving and maintaining quality of life for each person. Currently in residential aged care, the funding instrument is more like something you would see in an acute health setting, where there is more money attached to people who are identified as more unwell. Unfortunately, this means there is no extra financial support if you are enabling people to stay well and connected, all of which does require resources. Accessibility: The current government has just started to trial a new ‘navigator’ system to improve on the difficulty many people have with the ‘single access point’ of My Aged Care. The elected government needs to continue to work on alternatives to ensure all older Australians who need aged care can actually access it without assuming everyone has access to the internet and/or is confident using it. Home care: It is essential that the government finds a way to address the shocking waiting list for home care packages (enabling people to stay in their own homes). Currently someone has to wait many, many months after being assessed as needing care before they can access what they need. Holistic care: The formation of the future workforce needs to include holistic care – a workforce that understand the place of spirituality** in the lives of everyone, and knows how to value this and incorporate it in to the way each person is supported. From a Christian perspective, why should voters care about the way parties address the aged care sector? The aged care sector represents our ability as a whole society to value those who may need some help. The word ‘spirituality’ is often misunderstood and because of this misunderstanding, it is often sidelined or ignored. It can be explored in many ways, including, for example, as “the aspect of humanity that refers to the way individuals seek and express meaning and purpose and the way they experience their connectedness to the moment, to self, to others, to nature, and to the significant or sacred” (Puchalski, et al. 2014). For some people in the community this has a faith expression, and for others it does not. Pastoral carers are specialists in spiritual care. What are some of the key priorities for the aged care sector that the elected government should look to address? Whoever forms government after the election will have the task of implementing recommendations from the Aged Care Royal Commission, which will provide an interim report in October 2019 and a final report in April 2020. This is likely to encompass all the major issues of aged care reform such as quality, safety, funding, workforce, and approaches to dementia care and palliative care. As the elected government has the task of implementing recommendations from the Aged Care Royal Commission, his we would highlight: addressing the home care queue, which is not easy to navigate for more vulnerable older Australians; the roll out of the specialist dementia care program for the small proportion of people experiencing very severe behavioural and psychological symptoms of dementia; and the availability of home-like respite, which has enormous benefits for carers. What is your response to new Aged Care Quality Standards, and what outcomes do you hope to see from the implementation of these standards? There is strong evidence that shows the best way to regulate aged care is by having a small number of broad standards that are enforced by professional and well-resourced teams of knowledgeable assessors. The new standards with their focus on consumer outcomes are a step in the right direction. We hope they lead to a regulatory environment that enables providers to demonstrate how they are supporting service users to achieve positive outcomes, while also identifying and responding adequately to poor quality care. Quality standards should be not just be about meeting a minimum requirement and avoiding all risk – they should be about helping providers to offer the best care possible. What positive outcomes/ implications for the aged care sector do you hope to see from the Royal Commission? We welcome the royal commission as an opportunity to hear from care recipients, staff, providers, researchers and government about what’s working well, what needs to improve, and how to ensure quality of care and quality of life into the future. We hope it will encourage Australians to think about what they expect from aged care services, and engage the government and the broader community in thoughtful discussion about how we resource that effectively and sustainably. As a Christian charity, HammondCare stands for compassion as clearly seen and heard in the gospel records of the life of Jesus. Take his challenging words in Matthew 25: “I was hungry and you gave me food, I was thirsty and you gave me drink, I was a stranger and you made me welcome, naked and you clothed me, sick and you visited me, in prison and you came to see me… whenever you did this to one of the least of my brothers and sisters, you did it to me.” This should influence all Christians as they consider the approach of government and the community to the care of vulnerable older Australians. The majority of aged care providers are not-for-profit organisations, many of them church or faith based. They make a huge contribution to the sector and Christians are encouraged to pray for the strength, wisdom and effectiveness of these organisations that represent the Christian community and put the gospel into action. HammondCare describes itself as “an independent Christian charity” that “remains strongly and intrinsically Christian” that “serves people with complex health or aged care needs, regardless of their circumstances … HammondCare specialises in aged and dementia care, palliative care, rehabilitation, older person’s mental health and younger onset dementia.